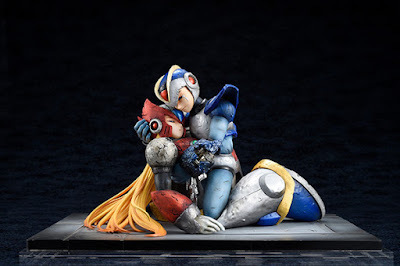 Big Bad Toystore are now accepting pre-orders for Amakuni's 1/7 scale X and Zero figure. It'll cost you a pretty penny: a whopping $324.99. BBTS' offering is pricey, but they're shipping it from the U.S. Alternatively, there's Play-Asia. I don't have the resources to do a giveaway on this one so you're on your own. 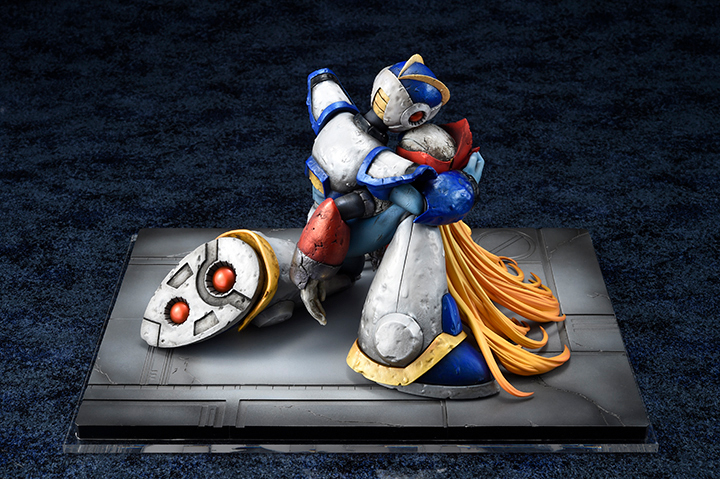 If you've got the Zenny saved up and want to add this solemn, subtly romantic piece to your Mega Man collection, snag a pre-order here. It ships in November. I am kinda broke right now, but I literally just hit pre-order and thought to myself "That's future me's problem o____o"
What kind of romantic are we talking about here? Good grief. That is so overpriced. Like, that's more than FirstFourFigures pricing.....I mean, it looks nice, but I don't think it's priced well. Pre-ordered this from Nippon Yasan for a little over $200 shipped. BBTS asking for over $300 before shipping is crazy. I didn't know of that site. Thanks for this, I immediately cancelled BBTS and ordered there. "subtly" romantic lol. X and Zero are the best videogame couple. X... really is hugging Zero torso pretty hard, there. Like... harder than you'd expect. In fact, he's clinging. Just, uh... just what kind of a relationship did X and Zero have before the Day of Sigma and the Maverick Revolt? I thought Day of Sigma wasn't canon? PlayAsia closed their preorders so these must be pretty limited, I just snagged one from Nippon Yasmin for $303CAD with good shipping. Wild stuff.